Himalaya Herbals is a health care, personal care and baby care products. In line with the brand, I am very much into organic products because I do have a sensitive skin. That’s why when I saw this product at Sample Room Philippines I fell in love with it. This product comes at 100ml and it is said to helps us prevent pimples. I know you’ll love this specially if you have an acne prone skin. This is perfect for you. This product is FREE from Parabens, SLS/SLES and Phthalates. So it only means that it is natural and safe to use because at the same time it is also Dermatologist tested. This facial wash is formulated to give us a clear problem-free skin. I like the color “green” also, that’s why I like the packaging itself. Yet I can really say that it has a good packaging because you can all read the things you need to know by just looking at it. Plus, it’s very handy so if you like going out and traveling, you can always take this with you. The product is a gel type face wash and it smells so good. You can really feel the soft texture while you massage it on your face. It feels so relaxing every time I am applying this on my face. It totally makes my skin smoother and healthier at the same time. I can really say that this product is worth a try because after you wash your face you can really feel the softness. It gives your face a natural-glowing look. It really do purifies my skin and helps me control my acne problem plus at the same time help me get rid of my tiny pimples. All in all I’ll rate this product as ♥♥♥♥♥. 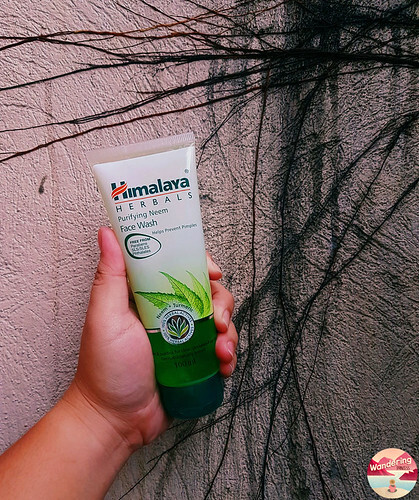 Follow Himalaya Herbals on their Social Media Accounts.